Welcome to the 62nd week of “Sunday Setlists”. Here you find a brief recap of our worship services and links to hundreds of other worship services. 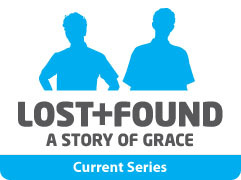 Today we start a new series called “Lost and Found”. It’s based on the story of the Prodigal Son and from what I’ve heard in our planning/creative meetings … it’s going to be one incredible series. There’s so much more to this story than the “young prodigal coming home”. For those who follow my blog regularly, you’ll know I was sick most of the week. (For those who don’t follow this blog regularly … like, WASSUP WITH THAT??) I didn’t feel super creative this week but prayerfully considered how to weave our worship around this incredible story of grace and mercy. We came up with a great setlist of some of our newer material and lots of our “reservoir” songs … songs that have been standards here at SSCC for years. Our rehearsal was one of the quickest ever … no small relief to a guy who was exhausted and ready to crash. Jon Blankenship (our Youth Pastor) filled in for Pastor David Yarborough this week and did a fantastic job opening up the series. I did this from the grand piano … David did a great job picking on acoustic and the vocals were strong. It was sweet! That’s a wrap for us. Now it’s time for YOU to share. Sounds strong Fred – hope you’re 100% by next weekend! I missed last week. I feel like such a heathen! Great to be back. Brad–I missed last week too–posted but forgot to link. Fred–hope you are feeling better and back to the good life this week. Rethink church? Rethink? YES… That’s the idea. The United Methodist Church is rethinking church, and today Pastor Rich challenged each of us to be the “Uncommon Church.” The series reflects the “10 Thousand Doors” campaign currently underway (http://www.10thousanddoors.org) and we are focused on how Jesus Christ is the door to heaven, and we, His church, are the door for others to find Jesus. The more acoustic set sounds refreshing Fred. We’ll be having one of those in a couple of weeks when most of our band is away at youth camp – I’m looking forward to a very different day! Fred, sounds like a God-filled morning in your place. Hope you can rest some this week, and get back up to full tilt. God bless. Sometimes simpler is better. Those were great songs to choose from. Hey do you have the chords for I Stand Amazed (How Marvelous)? Been a few weeks! But I got to lead this week at my Dad’s church so I thought I’d share. Here’s our setlist for this week. Thanks for setting this up, it’s great to see what others are doing – for encouragement and for ideas that we can use as well! “Your Grace Is Enough” is one of my faves, too. And we love “How Deep The Father’s Love For Us” at Sojourn. Was a good weekend for us! Finally a VIDEO this week. Take care. Great week at LCC! Glad to be back here with you all! check out our demo of O Great God!